It’s been a while since we’ve had a Designer Challenge, and I’m excited to bring you another installment of this popular series. This time I presented three headboard options and asked each designer to select her favorite and tell us what she’d do with it. First up, I’m happy to introduce Rita from Harbour Breeze. Rita and I connected through a Canadian designer group we’re both part of. After checking out her blog, I was so impressed by her $159 kitchen makeover, as well as other amazing projects, I immediately knew she was perfect for this challenge. Hi everyone. 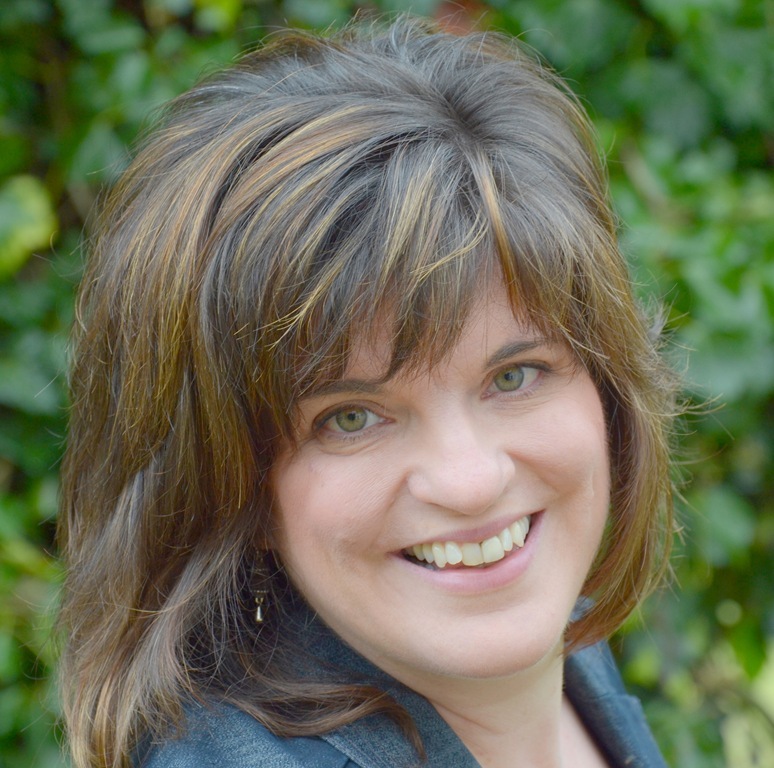 I’m Rita Joy and am thrilled to be sharing over here at Shauna’s place today. My blog home address is found at Harbour Breeze and my real address is on an island in beautiful British Columbia. I share my old, history filled house with my husband and 3 boys ~ one of which is already graduated and moved on. I love the challenge and charm an old house brings and have been enjoying working on our home one room at a time. Shauna’s designer challenge has been so much fun! 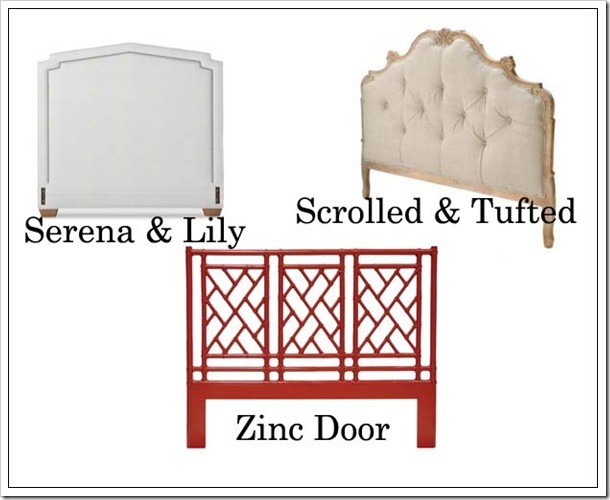 She presented these three headboards and asked me to pick one and design a room around it. I chose the Alta Headboard by Serena & Lily. I loved the classic look with the nail head detail and couldn’t get over the huge choice of beautiful fabrics and patterns. I set out to design a bedroom that I would love if finances weren’t any issue. Oh, what fun that is! My dream bedroom would be classic, warm, and rustic ~ with just a little bit of bling. Since I really love the idea of having my dream bedroom situated where I could see the ocean waves out its spacious windows, I’m calling this one “Beach Cottage Bling”. Paired with fluffy white linens and casual striped sheets, the wheat linen Alta headboard becomes the star of the show. Of course, having a beautiful, sparkly chandelier over head would help point that out! I can just imagine relaxing on a Sunday afternoon in that comfy chair and snuggling up in that dreamy throw blanket with a good book and a cup of coffee . I’m enjoying the new wall paper options these days, and this one adds some neat pattern and texture to the room. If you don’t want the expense of wallpaper, you could get the same look for a fraction of the price with a stencil. In fact, I just used it in my entryway! Accents in dark chocolate brown and black adds warmth and character to the room, and the aqua blue rug, pillows, and throw adds the perfect pop of beachside color. For all the other sources in the bedroom mood board, click HERE. 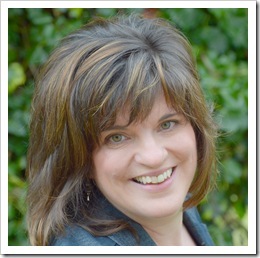 Thank you, Shauna, for the opportunity to design a dream room! Thank you, Rita! 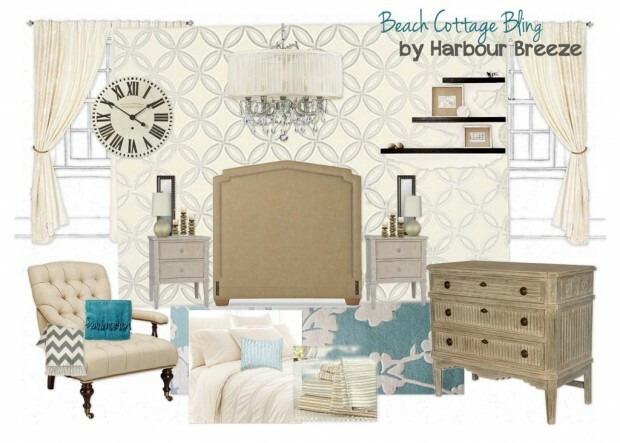 This bedroom design takes me back to summer…ahhhhh! I love how crisp and fresh it looks, and I can imagine myself spending oodles of time there (of course with the doors flung open and the ocean breeze streaming in). How about you? Would you select the Alta headboard as well or one of the other options? What kind of space would you design around it? Totally the headboard I would select. Rita’s bedroom is so beautiful, especially the colors! A bedroom designed with an ocean view has my full attention! I really love the area rug Rita chose – perfect for the vibe of that space, and definitely suits the headboard. 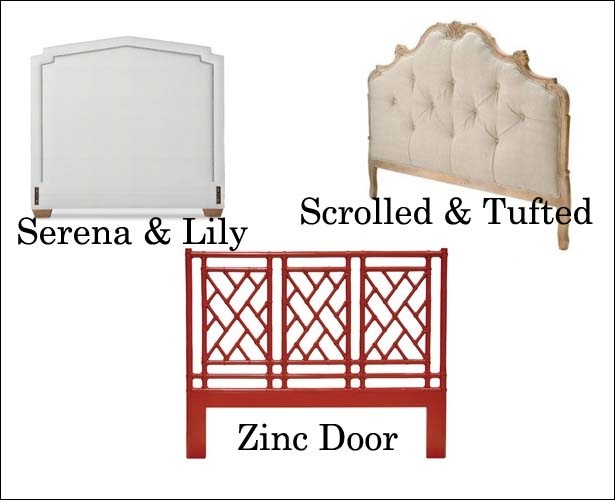 For me, I think I would go with the Pavillion headboard by Zinc Door. I think a pretty great space could be designed around this piece, too!